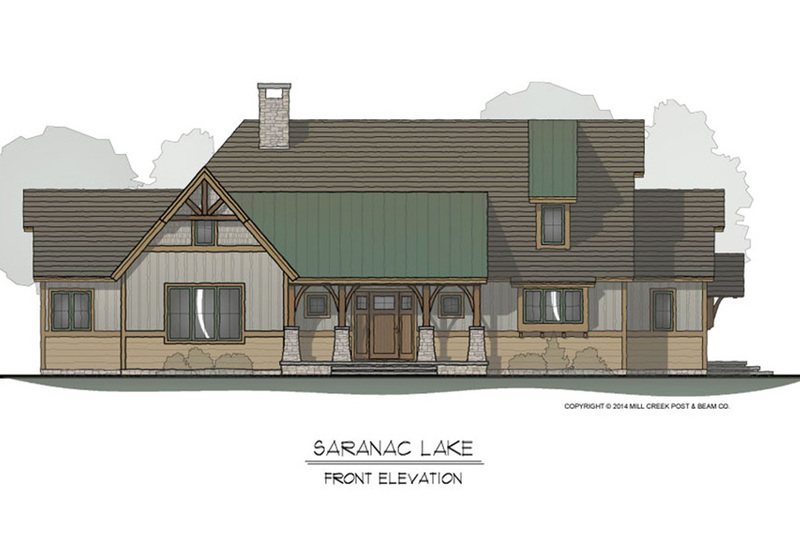 An artistic blend of traditional building forms and natural materials create the Saranac Lake’s timeless exterior. 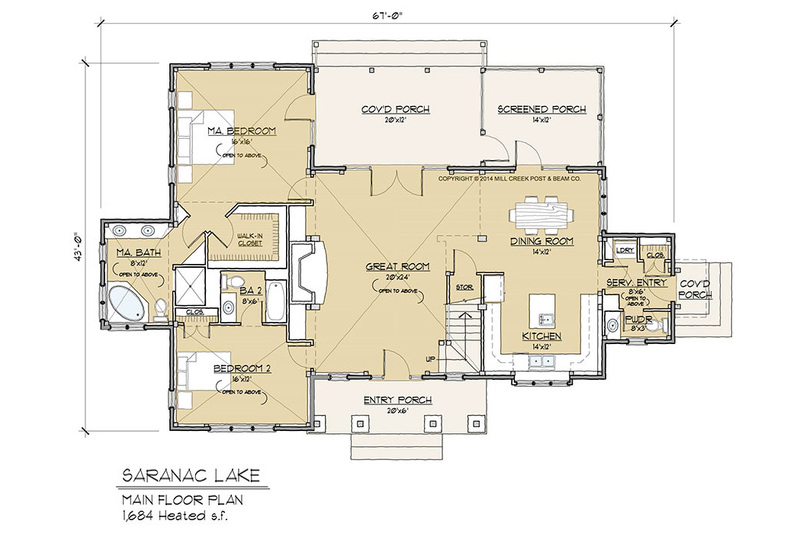 The dramatic and exceptionally designed floor plan of this home features a wonderful selection of living areas. It’s all here: private bedrooms and baths, intimate dining space, and a stunning great room with massive fireplace and cathedral ceiling. 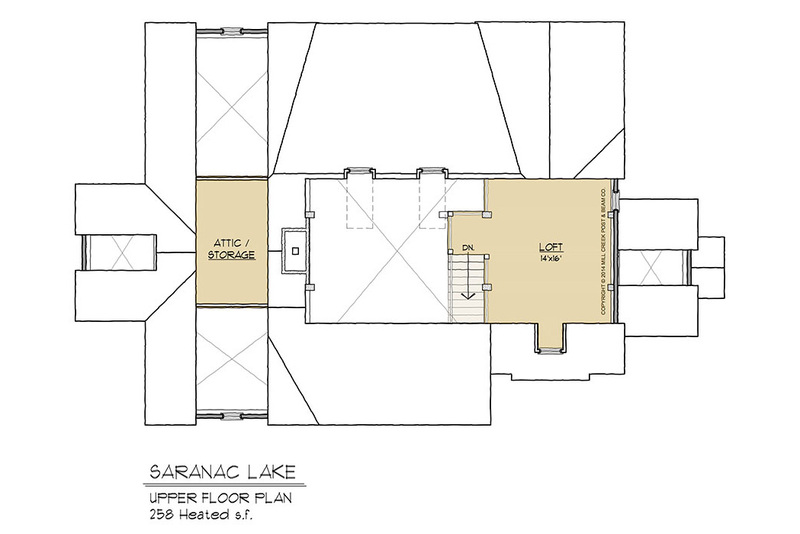 The second floor loft space features a perfect overlook to the great room below. A garage or porte-cochere can easily be tied to the house via a breezeway attachment to the existing service entry. Add an interior partition wall in the loft for increased privacy. Further augment hospitable second level space by adding a bath above the service entry. 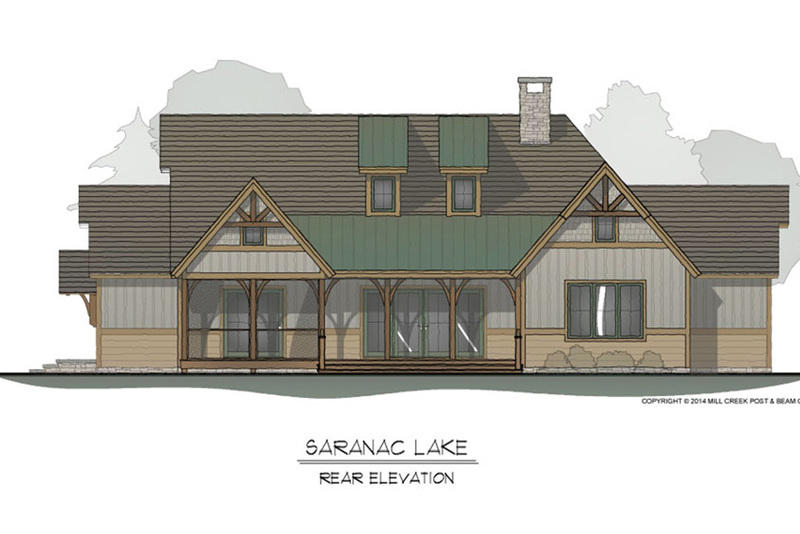 Create additional finished living space below when built on a sloped lot.